Have a space you would like to enclose? Screenroom? Patio? One option is our 3 Season Sunroom enclosures. Lightweight, 4 track vertical window system made in three colors and specifically designed for porches, screen enclosures or even gazebos. This allows you to open up to 75% of the screened window are to catch summer breezes. Vents are lgazed with View Flex, a tough, resilient vinyl, available in clear, smoke, bronze and dard gray or create your own combination! These maintenance-free units are all custom made to fit your openings exactly and come with a 10 year warranty against factory defect. Colors of white, sandstone and bronze. Check out the display at D&K to view our 4 track window systems. 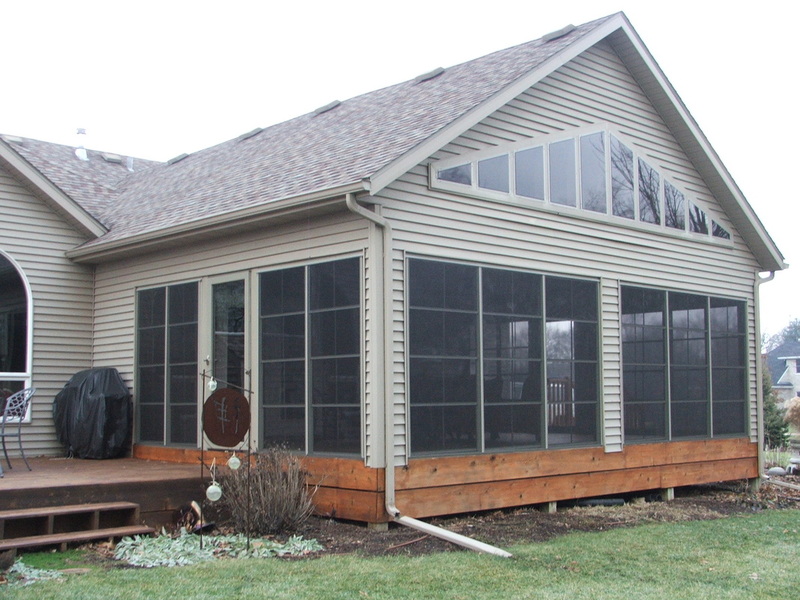 3 season double hung glass windows are another option to enclosure your screenroom. An excellent retro fit option available to custom fit your existing enclosure.